There are many reasons why you may be looking to purchase a new garage door, just like any other big purchase you are going to make you need to do some research. For instance if you need a new car you are not just going to drive to the first dealership you see and take whatever they suggest, no you are going to do some research; how many passengers do you need to be able to fit in the car, how much are you willing to spend on gas, do you need a vehicle with four wheel drive and of course how much money are you able to spend on this new vehicle. The same thing stands for when you are looking to buy a garage door. In the next few paragraphs we are going to outline the major factors you must consider when choosing a garage door for your home. most likely this is the type of door you already have they come in many different colors and you have the option to add window sections to the top. these are the types of doors that have a historic charm about them looking like something you might have seen on a postcard or painting, these doors are very much customizable and a nice upgrade from the traditional door. these doors look and work like something right out of a sci-fi movie. They are very sleek and most of the time comes in all glass or plastic models. 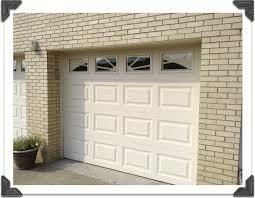 After you choose which style garage door you want to install you now need to choose the material of the door. The steel door is the most common, you are able to order the steel garage doors in a variety of colors and they can be insulated or non insulated. 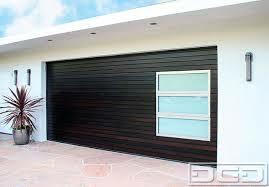 The steel garage door is very durable and requires a little bit of regular upkeep. 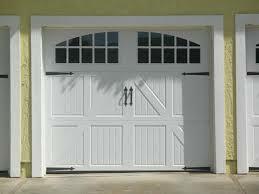 Next is the natural wood door, these garage doors are hand crafted to your specifications. Which means you can paint or stain them any color you choose and pretty much have an unlimited range for design and wood choices. Wooden garage doors do however require a bit more upkeep than normal since they are wood and are dealing with the elements you will need to repaint or stain them almost every year and they are subject to rot, warp or crack. But the beauty of a wooden garage door is totally worth it. A way to get the beauty without the upkeep is to choose a composite or faux wood garage door; these doors give you the same option with paint or stain so you can choose any color of the rainbow your design and wood options become a bit more limited though. Since the doors are not made with real wood but a wooden look instead you can only get a few different types of these doors. Last but certainly not least on the list is the aluminum and glass doors, these doors require the same amount of upkeep as a steel door but are a bit less expensive, also available in a variety of colors the glass gives the garage door a nice modern look while also keeping it light weight. Now that you have the style of garage door and the material you need to consider if you want a insulated or non insulated garage. It is a pretty simple answer if your garage is attached to your home or not. If you have a garage door that is attached to your home than you would most likely want to choose the insulated version of the door you have picked out, buying the insulated garage door will keep the heating cost down in the winter and the hot air out during the summer months. If your garage door is detached or if you do not use the space directly near the garage than a non insulated garage door would be perfectly fine for your needs. Now that you have picked out your perfect garage door the only thing left to do is schedule your appointment with one of our garage door installation specialist so we can get your dream garage door installed right away. These are great tips for those needing to buy new garage doors! Thanks for sharing!